Happy Birthday, Maryellen! My Maryellen with Mini Maryellen and my mom's Maryellen (Christmas dress) posed for a few quick pics before a rain shower started. Susie just updated her blog with an entry about both Easter and her new Mini Tenney that arrived! You can read the post here: Easter and Mini Tenney Arrived. I just wanted to take a moment to tell all of you how thankful I am for your love and support of my doll collection as well as Cherished Playtime and all the other sites linked to it. 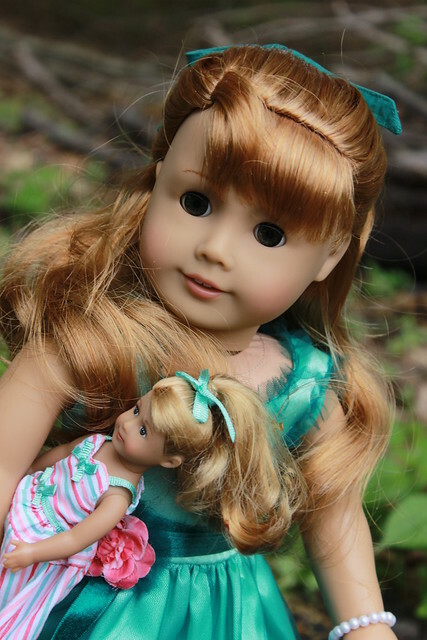 I love sharing my collection through photos, videos, crafts and more and I hope that they inspire others in their doll play. Whether you've been a fan since Cherished's beginning, ten years ago, or have stumbled upon this site more recently, thank you for being a fan! 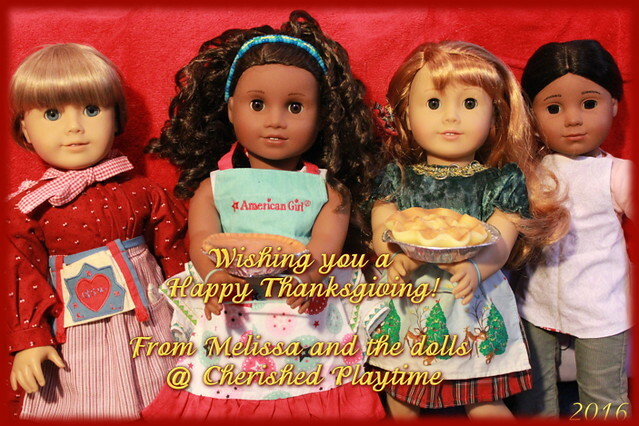 From my dolls and me to you and your dolls, we hope that you have a Happy and safe Thanksgiving! In 2014, Martha Merriman decided to start a Bad Book for the children in her home. She had gotten the idea from the Montoya family of Pleasantville (ourdolls.weebly.com). The Bad Book is a notebook where Martha writes down who has misbehaved and what they did. In December of each year, she counts up who was bad the most times and that child receives coal instead of candy, in her stocking at Christmastime. I have put up all of the entries for the Merriman Household Bad Book thus far. 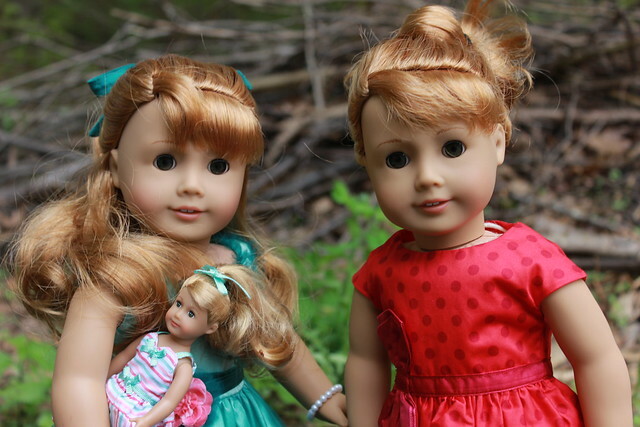 (It can also be found on the Merriman page under My Doll Play -> Meet The Dolls -> Merriman). I have added a new section to the site which can be found under Your Doll Play. This is a section that I have been wanting to add to the site for years now but for some reason or another I hadn't gotten around to. Nevertheless I've added it now! 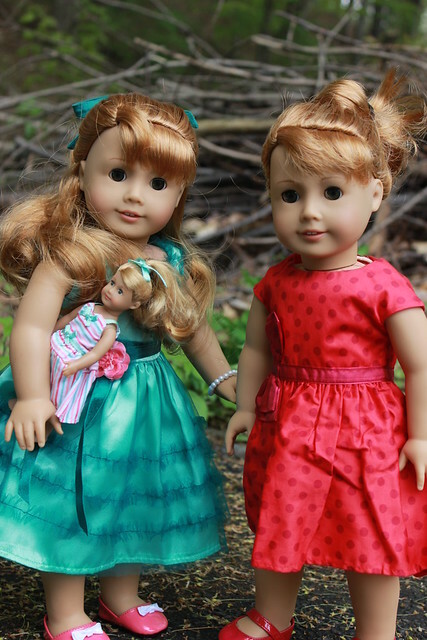 The new section is called Doll Play Ideas and as the title suggests, it is where you'll be able to find ideas for activities and events that you can do with your dolls. The first activity that you can do with your dolls is to set up a Mending Basket as part of their chores. It's a perfect chore for them to do on a rainy day so that they can take an item that has started to wear out and fix it up again. "Use it up, wear it out, make it do or do without." ~Boyd K. Packer. The tenth episode of the doll podcast, Clarfycast, has been released! In this episode, Clara, Rilla and Izzy are joined by Josephina Montoya of Waterloo and Susie Kent of Star Valley. Join the crew as they figure out if they would rather have the power go out while they're in the bathroom or kitchen, learn the fear for being tickled by feathers, and more! You can listen to the episode and download it below. Also, if you're on Facebook, be sure to check out (and like!) the Clarfycast FB Page. I've just finished my newest stop-motion video! It is called Late For Ballet Class and it stars Isabelle Palmer and Cornelia Edwards, along with Rose Hopkins, Heather Hardin, Brooke Soriano and Tutu the cat. A brief description: A distracted Isabelle finds herself late for ballet class. After getting ready, she arrives at the studio where she keeps messing up. Will she be able to succeed with her dance steps? And also, check out an old short stop=motion video of Kirsten and Felicity Dancing, here: Kirsten and Felicity Dance. It was filmed back in 2008 and I finally got around to editing it a few days ago.